And now plans have been unveiled for a £25million development featuring 280 apartments overlooking Aberdeen’s historic Rubislaw Quarry. Canada-based firm Carttera Private Equities is behind the ambitious plans to create the flats for the rental market. And its scheme also features a multi-storey car park, a reception area, a cafe, a gym and other outdoor facilities. The 466ft deep water-filled quarry produced the silver stone which forged Aberdeen’s identity as the Granite City. 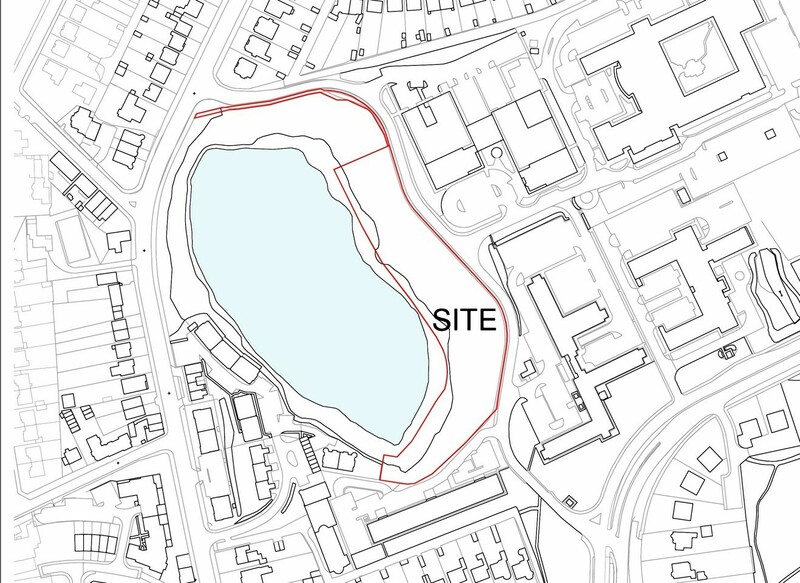 Plans were lodged to create a visitor centre on its banks last year but stalled after Aberdeen City Council declined to offer funding for the project. Now Carttera has tabled a proposal of application notice for its flats project. Jim Tadeson, a partner at the firm, said he expected demand for the properties to be “very robust”. He added: “We are excited to be bringing a high-quality, beautifully-designed, purpose-built rental apartment building to this spectacular location in Aberdeen. “While the site is already approved for both an office development and flats, we are responding to current market conditions in bringing forward this application for circa 285 apartments. “With the most extensive range of amenities and features available in Aberdeen, secure covered parking, brand new construction and its incomparable location, we believe the demand for these units will be very robust. The proposals will be formally unveiled at the Chester Hotel in Queen’s Road on Friday, November 18 when members of the public will get the chance to see them in 3D. Michael Gilmour Associates has been working with Carttera on the project. John Buchan, an architect at the firm, said the development could be completed early 2020. He added: “We expect the development will cost more than £25million. “Around 100 people will be employed in construction and many more in supplies. Four community councils have been given a copy of the proposal of application notice, including Craigiebuckler and Seafield, Queens Cross and Harlaw, Mastrick, Sheddocksley and Summerhill and Rosemount and Mile End. William Sell, the vice-chairman of Craigiebuckler and Seafield Community Council, branded the plans “illogical” last night. He said: “There is already traffic congestion at the Hill of Rubislaw Junction and on Queen’s Road and on the streets around it such as Springfield Avenue and Rubislaw Crescent. “If this goes ahead we will suffer from even more.